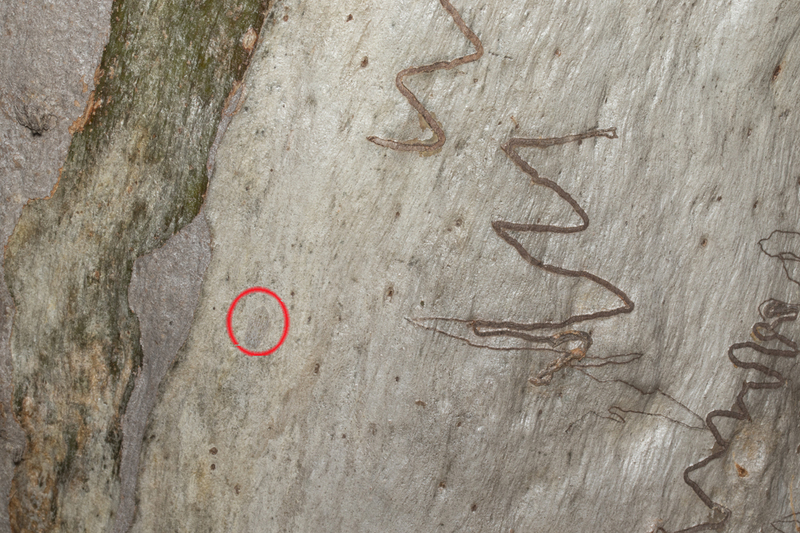 Reader Tony Eales from Australia sends some camouflaged beasties and a brightly colored spider. His notes are indented. 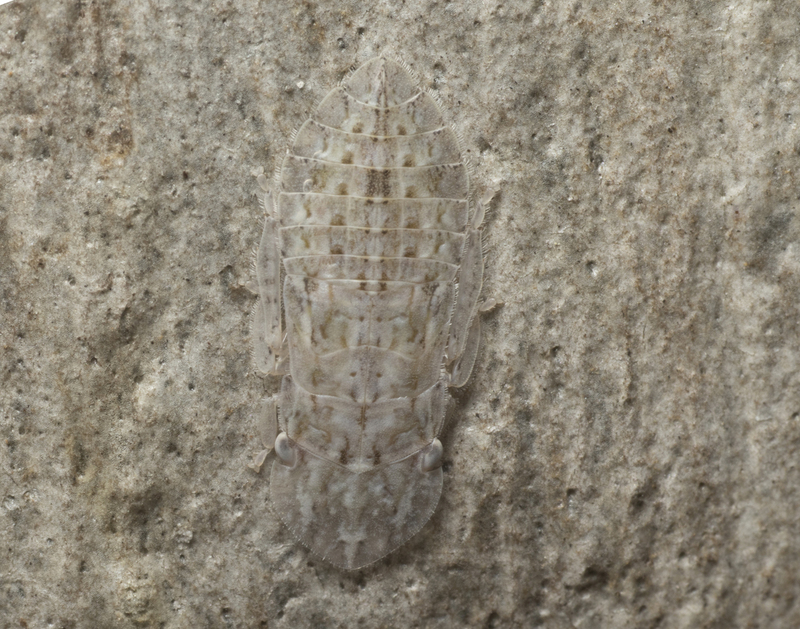 I’ve sent a Flat-headed Leafhopper (Ledromorpha planirostris) nymph as a spot the before, but I saw another one just recently. I’ve attached a long shot, a close up and the reveal. At the opposite end of the spectrum from camouflage, I found another species of Peacock Jumping Spider. 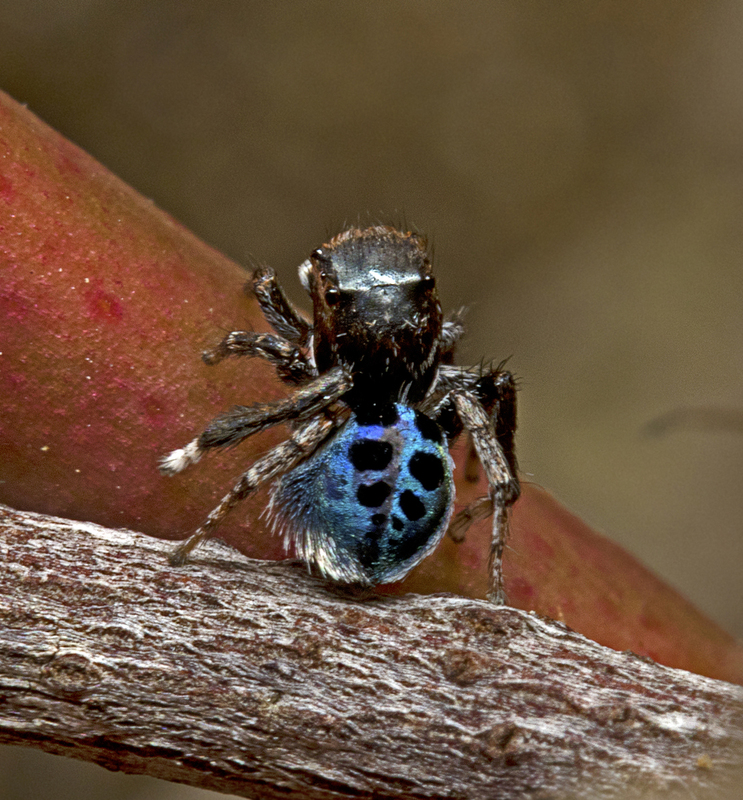 This one is Maratus nigromaculatus. 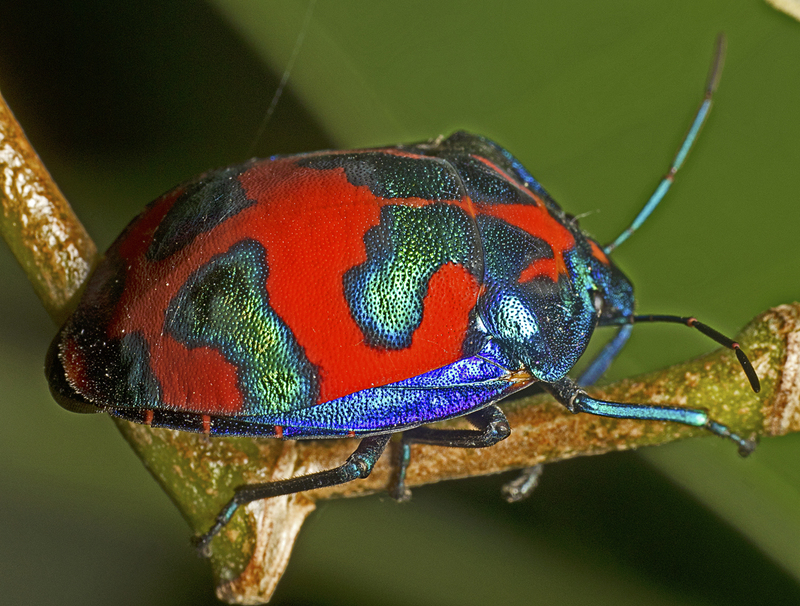 I’ve also included a picture of one of our really common and colourful bugs. It is a male Cotton Harlequin Bug (Tectocoris diophthalmus). Females are orange with iridescent green blotches, and the nymphs are iridescent dark blue with red patches. They love hibiscus, especially the tree-sized ones we have around here called Cotton Trees (Hibiscus tiliaceus). 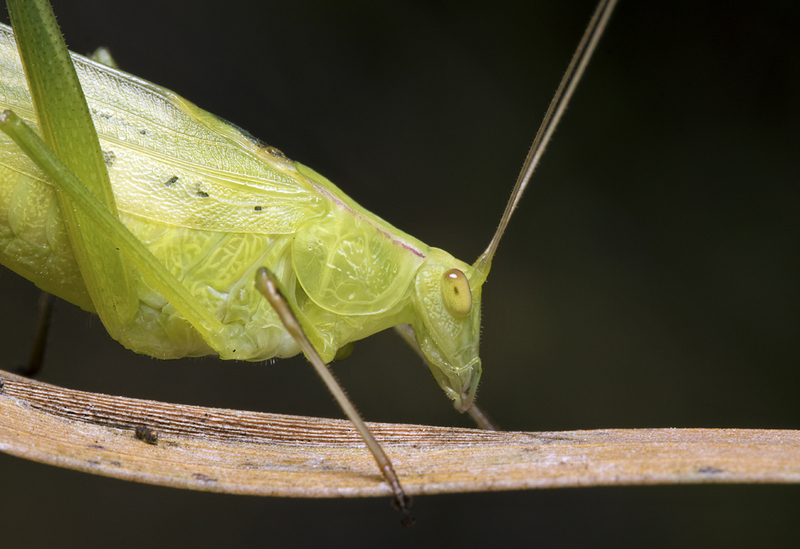 And lastly a katydid genus Polichne. There’s a lot of undescribed and hard to distinguish species in this genera. 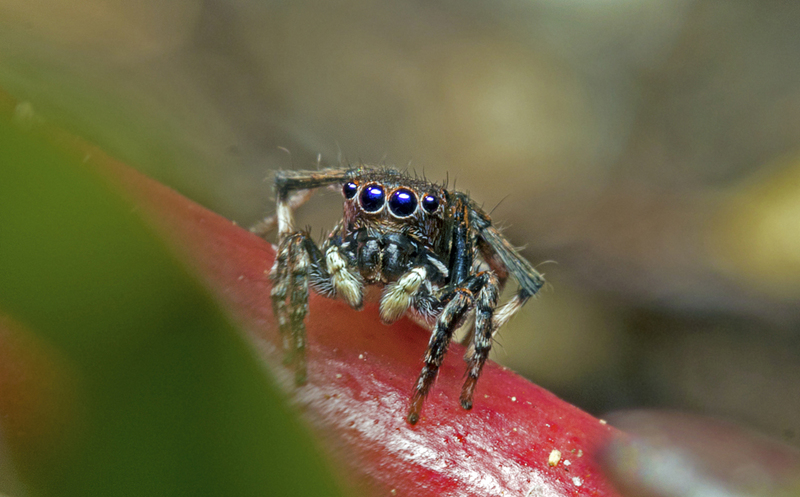 This entry was written by whyevolutionistrue and posted on August 11, 2018 at 7:45 am and filed under arthropods, crypsis and mimicry, insects, insects and other arthropods, photography, spiders. Bookmark the permalink. Follow any comments here with the RSS feed for this post. Both comments and trackbacks are currently closed. Wonderful stuff! I love bugs in the morning, over coffee. So many variety of insects, all beautiful. Is there an Official Insect on this site? If not, I’d like to nominate Spiders. But spiders are not insects. I think they are all classified as Arthurpods ,haha ,too lazy to look up the correct spelling . Arthropods, from arthro-, joint and -pod, foot, are indeed critters. 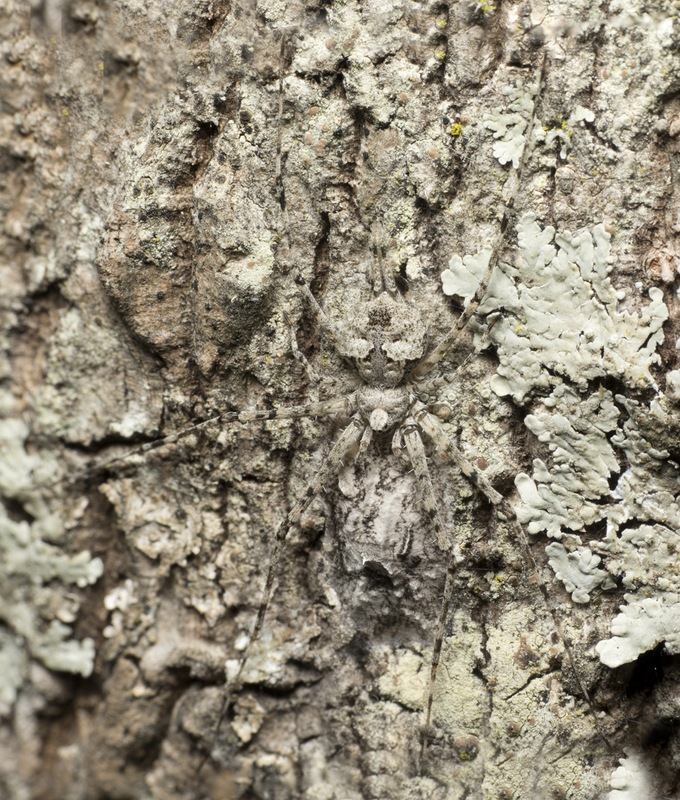 The camo on the first spider is amazing ,would it bite if you put your hand on it not realising it was there ? And are those lines in the bug photo made by Leaf Miners ? Thanks for the info about the spider ,is the moth a leaf miner ,the larvae live inside the leaves ,the tracks they leave get bigger as they grow . Cool cryptic creatures. I like the spider too. Wow, fantastic photos! That spider vid was very cool, too. Most interesting behavior.